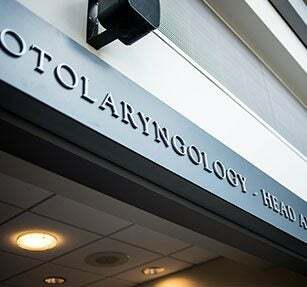 Many education and training opportunities exist for both existing medical professionals and medical students through the Department of Otolaryngology – Head and Neck Surgery. Please visit the sections below to learn more. Students who are considering or intend to pursue a career in Otolaryngology are strongly encouraged to apply for the four week elective clerkship during their fourth year. To apply for this elective, Boston University School of Medicine (BUSM) students should contact the Otolaryngology Education Coordinator, Janine Lipsky 617-638-7066 [email protected] and students from schools other than the BUSM should apply for the month long elective through the AAMC’s Visiting Student Application Service (VSAS®) (https://www.aamc.org/students/medstudents/vsas/). BUSM 4th year students who wish to learn about Otolaryngology, but are not intending to pursue Otolaryngology as a career, can do a two week Surgical Subspecialty Otolaryngology elective clerkship during their fourth year General Surgery sub-i elective clerkship. A new innovative individualized curriculum is being developed to afford students coming to Otolaryngology for two weeks a customized learning experience that attempts to match their exposure to learning experiences with their intended career path. To sign up for the two week elective in Otolaryngology, contact Ms. Myriam Castagne-Charlotin at [email protected].